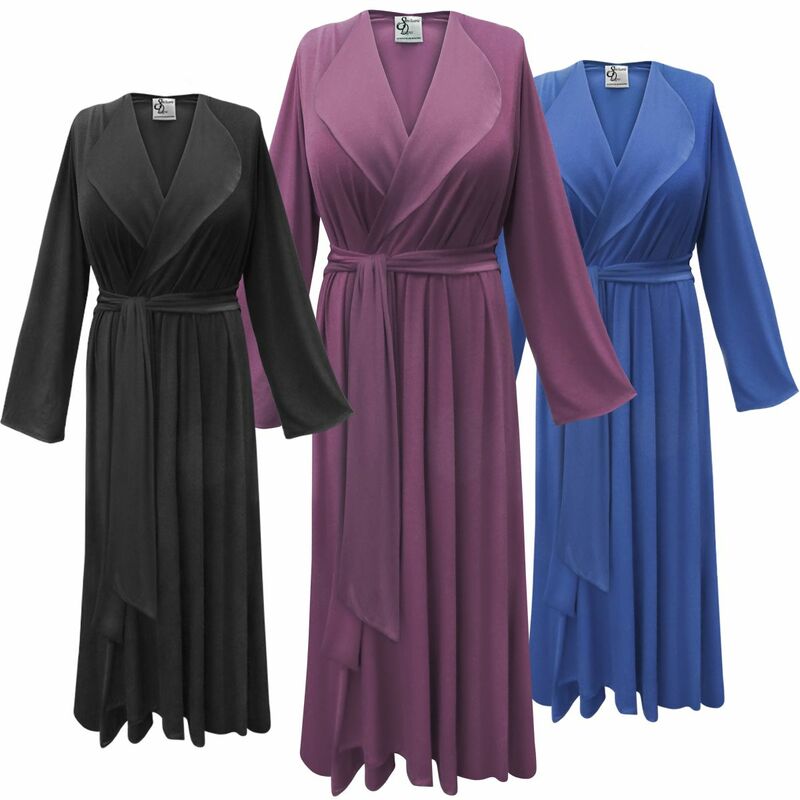 Plus size light-weight poly/cotton lapel collar robe, perfect for lounging around day or night. It has long sleeves, an inside pockets plus an attached belt for a snug fit. Available in a many colors.  Standard floor length 52/54"
To ensure a proper fit, please take your measurements & compare them to the size chart listed below. Measurements are taken across the back, from side seam to side seam, then doubled. For length, measure from top of the shoulder down.